Lely Resort Naples Fl is a unique master planned community of coach homes, single family homes, town homes, casitas, condos and estate homes developed by Stock Construction. Lely Resort real estate features wide boulevards, gorgeous homes, lush landscaping, and a fabulous clubhouse with resort style pool, the community was voted Community of the Year by the Collier Building Industry Assocation in 2008, 2009 and 2010. Stock Development is one of the most respected developers in the Southwest Florida Real Estate Market. Lely Resort features 3 championship golf courses (two public and one private) by some of the world’s top designers, 3 resort style pools, 7 tennis courts, a luxurious spa and fitness center, 4 clubhouses, 11 neighborhoods and countless other amenities. Newer Lely Resort real estate offers 9 unique neighborhoods with quality builders to choose from with prices from the $180’s to over $2 million and over 30 beautifully decorated model homes to tour. Along with the Lely Resort golf courses, there are two luxurious clubhouses - The Players Club & Spa and the Classics Club (the golf clubhouse). - Private cabanas and a beach area around the pool. Adjacent to the pool and beach area is a lap/fitness pool set up for water aerobics. Surrounded by sub-tropical woodlands, this 18-hole championship course features tree-lined fairways and gentle contours. Within a serene natural setting, Gary Player designed this masterpiece as the epitome of a club player’s golf course. It requires planning and strategy backed up by the solid golf skills that characterize a true club player. His design reflects his philosophy that a series of well-hit shots should provide the golfer with a reasonable opportunity to make par and that a golf course should celebrate the natural environment that encompasses it. The Classics is a private golf course, with a maximum membership of 650 members. The Classics opened in 1990. Lely Resort - Flamingo Island by Robert Trent Jones, Sr.
One of the game’s most prolific and innovative golf course architects, Robert Trent Jones, Sr. designed Flamingo Island to emphasize the hallmarks of his architectural style. Named a "Top 50 Resort Course" in Golf World's 2009 Reader's Choice awards and twice designated as one of "America's Best" by Golfweek, Flamingo Island is one of Naples' best signature public golf courses. The course is characterized by extensive sculpting and shaping of the land. He implemented strategic deployment of water as a playing hazard and a scenic complement to the course as well as the use of multiple teeing areas with large, contoured greens. With it's hourglass fairways, fingered sand bunkers and large undulating greens, the golf course is designed to provide many exciting challenges. The picturesque par-3 fifth - "Flamingo Island" - is absolutely unforgettable. This combination of design elements yields 18 holes of pure Robert Trent Jones, Sr. magic. Flamingo Island is a public course. Lely Resort - The Mustang by Lee Trevino - Lee Trevino’s philosophy of making the game challenging but fair even for average golfers is evident on the masterful Mustang championship course. Designed with a forgiving layout where a player can recover from a bad shot, this course will have you coming back time after time. Twelve lakes decorate the landscape and extensive bunkering is found throughout. However, Trevino designed generous landing areas and fair entries to the greens. One of Naples' best signature championship courses open to the public, the Mustang was named a "Top 50 Resort Course" in Golf World's 2009 Reader's Choice awards. Punctuated by 12 sparkling lakes, the Mustang gently flows across undulating fairways and winds through stands of towering Florida pines. Strategically placed bunkers will test your decision-making prowess as well as your shotmaking abilities. At 7,200 yards from the back tees, it is a course that provides varied and spectacular conditions for players of all skill levels. The Mustang is a public course. 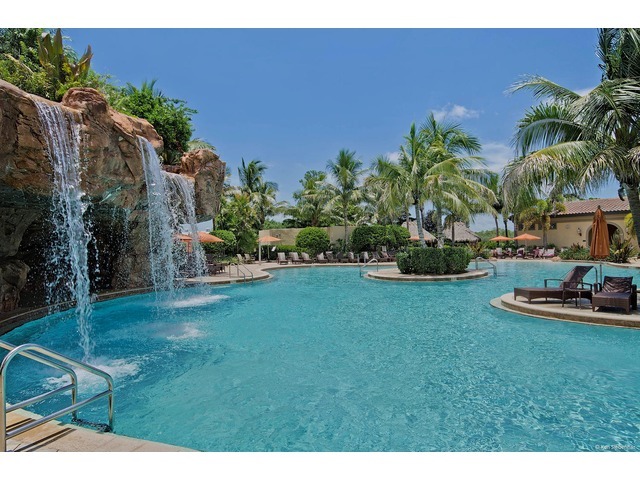 Lely Resort is located just minutes from the beautiful beaches and the highly desirable Fifth Avenue South Shopping District that Naples has become famous for and is also close to Marco Island. Looking for a Lely Resort real estate agent? Want to search like a Lely Resort realtor? Join our Free Lely Resort Real Estate For Sale Email Service to be notified of Lely Resort Open Houses or when Brand New Lely Resort homes hit the Lely Resort real estate market!